We were delighted to see over 940 BFFF members and guests gather at the Hilton on Park Lane for our Annual Luncheon on Tuesday 25th November 2014. Please click here for a video of the event. Reception rooms were busy and the atmosphere was buzzing, proving once again this is the event to attend for top networking opportunities with guests from the retail and foodservice sectors representing well over 270 companies. Our thanks to all those companies that completed our survey with such positive comments such as, “The BFFF Luncheon is a highlight of the year and a great networking opportunity”, Christopher Newton, Fresh Montgomery. During his speech, our President, Peter Allan welcomed Catherine Brown of the Food Standards Agency, Lindsay Harris of Defra, Bertrand Emond from Campden BRI and Dr. Geoff Spriegel of Leatherhead Food Research. Guests from the trade press and other influential bodies also joined our top tables. Anthony Marshall, executive chef at the Hilton, and his team provided another superb meal. Our thanks to the chef and his team for continuously striving to push the boundaries of banqueting cuisine. After enjoying the meal, comedian Ian Irving took to the stage to entertain guests. I’d like to give a special mention to our sponsors who supported the event fantastically. Our sincere thanks to Freightex who very kindly sponsored the President’s Reception this year, enabling us to extend hospitality to many influential organisations and companies that were present on the day. We also thank Rick Bestwick for sponsoring the audio visuals and Moy Park for sponsoring the flower arrangements. We would also like to thank Partner Logistics for adding some fun to the afternoon with their sponsorship of the competition and Snack Food Poco Loco for sponsoring the celebrity speaker. Our thanks too to Iceland Foods, Central Foods Group and Tipiak for their continued generous sponsorship. It’s fantastic to have the support of such companies who enable us to provide top-class events. We’ve had great feedback from members regarding the Luncheon and it’s good to hear you all had a great day. Thank you for being a fantastic audience and entering into the spirit of the occasion. 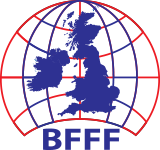 In the year to come there will be plenty of opportunities to meet and exchange views with other people in the industry and if you haven’t already booked your place for the 2015 BFFF Conference on Tuesday, March 3, then I would encourage you to do so. Many of you have enquired about next year’s Gala Dinner Dance so you might like to note that the date is Thursday, June 11. We still have some great sponsorship opportunities available if of interest. Last but not least if you enjoyed this year’s luncheon and want to come again, we’ll all be gathering at the Hilton on Park Lane on Tuesday, November 24. We look forward to seeing you there, if not before! Iceland Foods are at the forefront of supporting the Luncheon with their continued sponsorship of the Luncheon Brochure and we are grateful to Nigel Broadhurst and Malcolm Walker of Iceland for adding their generous support again this year. We’re delighted that they are continuing their sponsorship in 2015. Central Foods/Tipiak are generously sponsoring the Coffee and Chocolates Course and we are grateful to Gordon & Alison Lauder and Anne-Marie Beguin for adding their support again this year. We’re delighted that they are continuing their sponsorship in 2015. 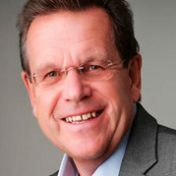 Rick Bestwick, on the back of their sponsorship of the Gala Dinner Dance Breakfast, are generously sponsoring the audio visuals for this year’s Annual Luncheon and we are grateful to Kevin Hancock for his continued support. We’re delighted that they are continuing their sponsorship in 2015. Freightex – new sponsors of the Presidents Reception. Partner Logistics – new sponsors of this year’s Competition. We’re delighted that they are continuing their sponsorship in 2015. Moy Park – new sponsors of the table arrangements this year. Snack Food Poco Loco – new sponsors of the Celebrity Speaker – comedian Ian Irving. We’re delighted that they are continuing their sponsorship in 2015. Please click 2014 Annual Luncheon A5 to see a pdf copy of the Seating Brochure from the day. Looking to highlight your company by sponsorship?